Need to stock up on diapers? 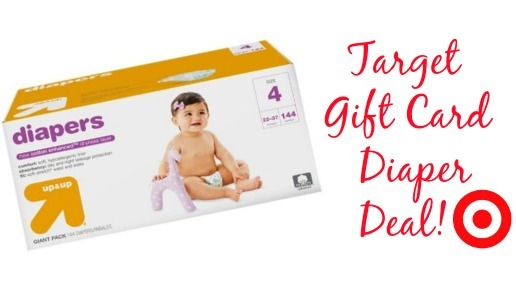 Through 11/1, Target is offering a FREE $20 Target Gift Card when you buy select Up & Up Giant Packs of diapers! There is a Cartwheel available if you choose to buy in store, or the deal is also available online and shipping is FREE right now at Target!